OM VISA Consultancy - Global Immigration, Students, Visitor, Business & Work VISA Consultants: Study In Sweden With Your spouse With OM International...!!! Study In Sweden With Your spouse With OM International...!!! Studying in Sweden is unique, and will not find an experience like it anywhere else in the world. Swedish educational institutions provide an exciting as well as an open environment, with a huge co-operations. This will give valuable skills that cannot find at other universities across the globe. Will also learn techniques for working in a team that may have never considered had you studied somewhere else that encouraged individuality over teamwork. Swedish master’s degree program provides unique opportunities with practical knowledge Many programs also work closely with the industry, offering students the possibility to combine study and practical work. You can take internships, apprenticeships, and even work part-time in fields that are related to your Advanced degree studies. That means that you will get both the hands-on experience and the ability to apply what you are learning to what you are doing. Knowing how to turn theory into practice can give you distinct advantages over your peers when you go into the workforce upon completing your degree. Swedish universities will encourage their students to work on your strengths and talents, instead of thwarting creativity. The knowledge system is student-centric and your work with your teachers is usually informal, as opposed to the more formal “student/master” feel that you may get in other situations.This is likely due to the egalitarian culture that they hold close, which means that they don’t hold themselves over anyone, but see everyone as equal. Because of this, they value initiative and independent thinking. You are at the center of your education, not some cut and a dry educational system that only exists to force you to meet standards. - Successfully completed their upper secondary (high school) education. - Demonstrate proficiency in English. The entry requirement for studies at the bachelor's level in Sweden is the equivalent of the Swedish upper secondary course English 6/English B. For some courses and programs, students are only offered places based on their upper secondary qualifications and NOT on their university qualifications. 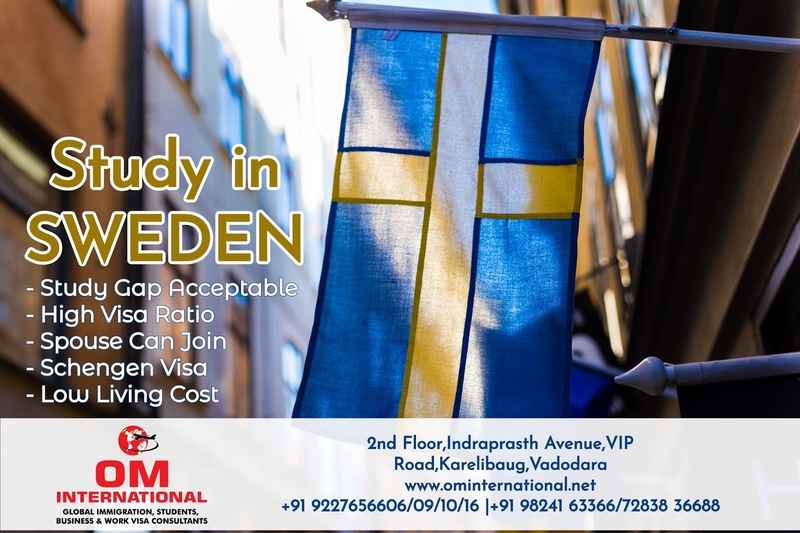 Residence Permit for Studies in Sweden: If you're considering studying in Sweden, you'll be relieved to know that Sweden has a clear easy-to-follow process to apply for studies in Sweden. One great benefit of being granted a residence permit for studies in Sweden is that you have the right to work in Sweden while you study! Sweden is also interested in retaining foreign talent so you'll be able to stay in Sweden 6 months after graduation to apply for jobs in Sweden.In Sweden, students apply for a residence permit for studies and the paperwork that you need to complete to study in Sweden varies depending on whether you are an EU/EEA/Nordic citizen, a citizen of Switzerland, or not. The length of time - less than or more than three months - you'll be studying in Sweden can also have an effect on whether or not you'll need to apply for a visa or register with the Swedish Migration Board. Wondering what it's like to study abroad in Sweden? Leaving your country to study abroad is about more than just the classroom! You'll meet Swedish students, other international students from all around the world and explore your new study abroad location. Students usually join the local student union for a small membership fee. This gives you access to various student activities and student discounts. Fees range from SEK 50-350 per semester, depending on the union. All students in Sweden need to buy their own textbooks and on average spend 750 SEK/month for this purpose. Living costs depend on the location of study (bigger cities are generally more expensive) but are approximately 8000 SEK per month including rent or 925 USD/830 EUR as of October 2016. The cost of healthcare for international students varies depending on whether you are an EU/EEA/Swiss citizen or not as well as the duration of your studies in Sweden. Om International have tons of resources that you can use in order to help you make your decisions and so that you find the university that is right for you. So come on, check out what Sweden has in store for you and your future.